Tiziana Caponio, PhD in Political Science at the University Cesare Alfieri of Florence, is currently Marie Curie Research Fellow at MPC with the project ‘Migration Policy in Multilevel Political Settings. City Networks in Europe and North America (MInMUS)’. Her research focus on migration policy and policymaking, with a specific attention to the local dimension and multilevel governance dynamics. 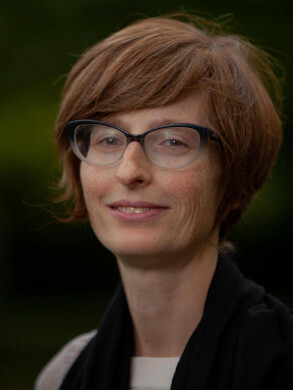 Since 2015 she is Associate Professor at the Department of Cultures, Politics and Society (CPS) of the University of Turin, where she has been teaching ‘Dynamics and policies of migration’. She is also Research Fellow at Collegio Carlo Alberto and at the Fourm of International and European Research on Immigration (FIERI). She is co-chair of the Standing Committee on ‘The Multilevel Governance of Immigration and Immigrant Integration Policies’ of the IMISCOE Research Network and has been involved in many international collaborative projects on migration and immigrant integration policies in Europe and beyond. In April-June 2017 she was Luigi Einaudi Chair at the Cornell Institute for European Studies (Cornell University). She has recently edited together with Peter Scholten and Ricard Zapata The Routledge Handbook of the Governance of Migration and Diversity in Cities. Always adopting a multilevel governance perspective, she is currently involved in the analysis of Italian asylum policies (see below Current Projects). Among recent publications on this topic: (with Teresa Cappiali), Italian Migration Policies in Times of Crisis: The Policy Gap Reconsidered, South European Politics and Society, 23(1), pp. 115-132 . Research topics: Migration policy, local policies, multilevel governance, immigrant integration. Geographic areas: Europe and North America. Caponio, T. and Jones-Correa, M. (eds) (2018) ‘Special Issue. Theorising migration policy in multilevel states: The multilevel governance perspective’, Journal of Ethnic and Migration Studies, 44(11-12) [online first: August 2017]. Zapata-Barrero, R., Caponio, T. and Scholten, P. (2017) ‘Special Issue. Theorizing the ‘local turn’ in the governance of immigrant policies: A multilevel approach’, International Review of Administrative Sciences, 83(2) [online first: December 2015]. Caponio, T. and Borkert, M. (eds) (2010) The Local Dimension of Migration Policymaking, Amsterdam, Amsterdam University Press, IMISCOE Report Series. Caponio, T. 2006. Città italiane e immigrazione. Discorso pubblico e politiche a Milano, Bologna e Napoli, Bologna, Il Mulino. Caponio, T., Testore, G. and Wisthaler, V. (2018), ‘Intergovernmental relations on immigrant integration in Italy. Insights from Piedmont and South Tyrol’, Regional and Federal Studies, published on-line May 31st. Caponio, T. and Cappiali, C. (2018), ‘Italian Migration Policies in Times of Crisis: The Policy Gap Reconsidered’, South European Politics and Society, 23(1), pp. 115-132. Caponio, T. (2018), ‘Immigrant integration beyond national policies? Italian cities’ participation in European city networks’, Journal of Ethnic and Migration Studies, 44(11-12), pp. 2053-2069 [online first: August 2017], doi:10.1080/1369183X.2017.1341711. Caponio, T. and Jones-Correa, M. (2017) ‘Introduction: Theorising migration policy in multilevel states: The multilevel governance perspective’, Journal of Ethnic and Migration Studies, 44(11-12), pp. 1995-2010 [online first: August 2017]. Doi: 10.1080/1369183X.2017.1341705. Campomori, F. and Caponio, T. (2017) ‘Immigrant integration policy-making in Italy. Regional policies in a multilevel governance perspective’, International Review of Administrative Sciences (IRAS), 83 (2) [online first: April 2016]. DOI: 10.1177/0020852315611238. T. Caponio, Jubany O. and Güell, B. (2016) ‘Civic integration policies from below: Accounting for processes of convergence and divergence in four European cities’, Ethnic and Racial Studies, 39(5), pp. 878-895 [online first: September 2015] DOI: 10.1080/01419870.2015.1080379). Campomori, F. and Caponio, T. (2015) ‘Immigration and social inequalities. Italian integration policies revisited’, Politiche Sociali/Social Policies, 2(1), pp. 43-58. Caponio, T., Hunter, A. and Verbeek, S. (2015) ‘(De)constructing expertise: Comparing knowledge utilization in the migrant integration crisis’, Journal of Comparative Policy Analysis: Research and Practice, 17(1): pp. 26-40. DOI: 10.1080/13876988.2014.889902. Campomori, F. and Caponio, T. 2013. ‘Competing frames of immigrant integration in the EU: Geographies of social inclusion in Italian regions’, Policy Studies, 34(2), pp. 162-179. Caponio, T. 2008. ‘(Im)migration research in Italy. A European comparative perspective’, The Sociological Quarterly, (49)3, pp. 445-464. Caponio, T. 2005. “Policy networks and immigrants’ associations in Italy. The cases of Milan, Bologna and Naples”, Journal of Ethnic and Migration Studies, 31(5), pp. 931-950. Adam, I. and Caponio, T. (2018) ‘Research on the multi-level governance of migration and migrant integration. Reversed pyramids’, in S. Bonjour, A. Weinar and L. Zhyznomirska (eds), Handbook on the Politics of Migration in Europe, Routledge, Abington. Caponio, T. and Cappiali, T. (2017) ‘The persistent issue of refugees: Organised hypocrisy, solidarity and mounting protest’, in A. Chiaromonte & A. Wilson (eds. ), Italian Politics. The Great Reform that Never Was, Oxford, Berghahn Books. Campomori, F. and Caponio, T. (2017) ‘Immigrant integration policy-frames in Italy: The case of centre-right Veneto and centre-left Emilia Romagna regions’, in S. Chambers, D. Evans, A.M. Messina & A. Fisher Williamson (eds. ), Transatlantic Perspectives on New Immigrant Destinations, Philadelphia, Temple University Press. Caponio, T. (2015) ‘Research-policy dialogues in Italy’, in P. Scholten, H. Entzinger, R. Penninx and S. Verbeek (eds. ), Integrating Immigrants in Europe. Research-Policy Dialogues, Springer, New York, pp. 165-183. Caponio, T. (2015) ‘Paths of Legal Integration and Migrant Social Networks. ‘The case of Filippina and Romanian female domestic workers in Italy’, in L. Rayan, A. D’Angelo and U. Erel (eds. ), Migrant Capital. Networks, Identities and Strategies, Basingstoke, Palgrave Macmillan, pp. 172-187. Caponio, T. and Ricucci, R. (2015), ‘Interculturalism: a policy instrument supporting social inclusion?’, in R. Zapata-Barrero (ed. ), Interculturalism in Cities. Concept, Policy and Implementation, Edward Elgar, Cheltenham, pp. 20-34. Campomori, F. and Caponio, T. (2014) ‘Migrant reception policies in a multilevel system: framing and implementation structures in the Italian regions’, in E. Hepburn and R. Zapata-Barrero (eds. ), The Politics of Immigration in Multilevel States, Basingstoke, Palgrave Macmillan, pp. 130-149. Caponio, T. and Campomori, F. (2013) ‘Le politiche per gli immigrati: istituzionalizzazione, programmazione e trasparenza’, in S. Vassallo (ed. ), Il divario incolmabile. Rappresentanza politica e rendimento istituzionale delle regioni italiane, Bologna, Il Mulino, pp. 249-278. Caponio, T. (2012), ‘Theories of Multiculturalism Italian Style: Soft or Weak Recognition?’, in R. Taras (ed. ), Challenging Multiculturalism: European Models of Diversity, Edinburgh, Edinburgh University Press, pp. 216-235. Caponio, T. and Graziano, P.R. (2011) ‘Towards a security oriented migration policy model? Evidence from the Italian case’, in E. Carmel, A. Cerami and T. Papadopoulos (eds. ), Migration and Welfare in the New Europe: Social Protection and the Challenges of Integration, Bristol, Policy Press, 2011, pp. 105-120. Borkert, M. and Caponio, T. (2010) ‘The Local Dimension of Migration Policymaking. Introduction’, in T. Caponio and M. Borkert (eds. ), The Local Dimension of Migration Policymaking, Amsterdam, Amsterdam University Press, IMISCOE Report Series, pp. 9-32. Caponio, T. (2010) ‘Grassroots Multiculturalism in Italy. Milan, Bologna and Naples Compared’, in T. Caponio and M. Borkert (eds. ), The Local Dimension of Migration Policymaking, Amsterdam, Amsterdam University Press, IMISCOE Report Series, pp. 57-84. Caponio, T. (2010) ‘Conclusion. Making Sense of Local Migration Policy Arenas’, in T. Caponio and M. Borkert (eds. ), The Local Dimension of Migration Policymaking, Amsterdam, Amsterdam University Press, IMISCOE Report Series, pp. 161-196. Caponio, T. (2010) ‘Italy – Migration Research Coming of Age’, in D. Thränhardt and M. Bommes (eds. ), National Paradigms of Migration Research, Göttingen, V&R Unipress, pp. 207-232. Caponio, T. and Zincone, G. (2006) ‘The Multilevel Governance of Migration’, in R. Penninx, M. Berger and K. Kraal (eds. ), The Dynamics of Migration and Settlement in Europe. A State of the Art, Amsterdam, Amsterdam University Press, IMISCOE Joint Studies, pp. 270-304.